I don’t think he’s been to flight school at all. If he had, someone would have told him it’s called a plane, not a ship. 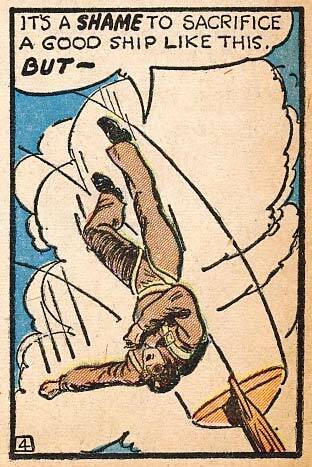 Dan, actually in the ’30s and ’40s when this comic was drawn, it was quite common to refer to an airplane as a ship. You’ll see it if you watch old film from that period dealing with aviation.